I'm now the proud partner of Jake. Homophobes among you should note that Jake isn't a dude, he is my service dog. Jake's abilities, of which there is a dizzying number, are the result of his own industriousness, and the dedication of a group of wonderful people at St. Francis Service Dogs in Roanoke, Virginia. If you're so inclined, you may also donate to help St. Francis place more dogs...I know I will. I got to notch another item off my bucket list recently: I got to drive a Bugatti Veyron. John Hill, of Bugatti, was kind enough to respond to a hail mary message from my friend and colleague, Ellen. A trip to Orlando for the Mission Inn Festival of Speed turned in to a dream weekend...aside from my rather foolish speeding ticket. 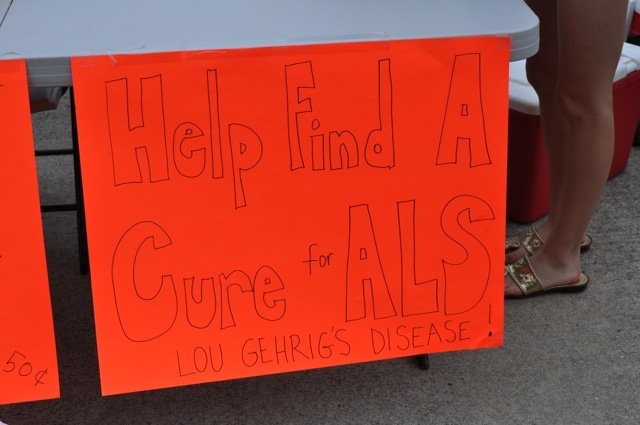 This past weekend saw a group of people doing some wonderful things in the name of fundraising for ALS causes. 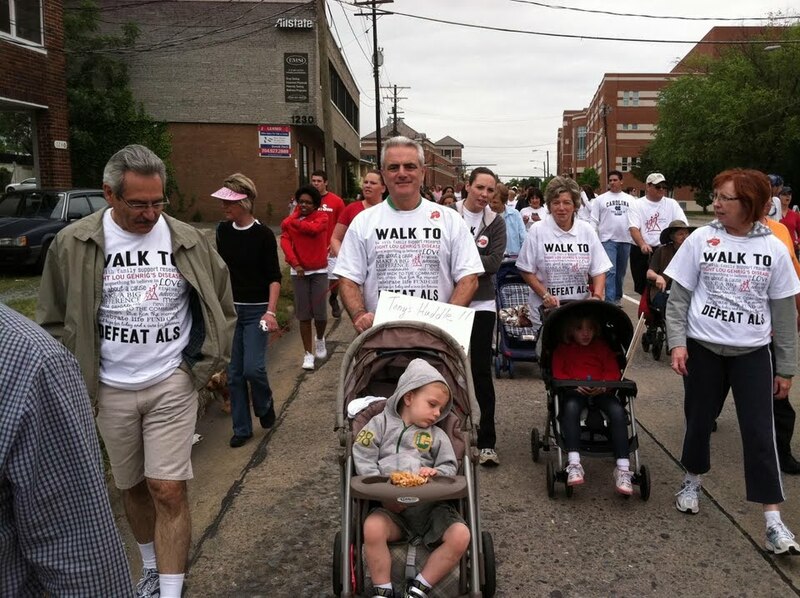 My family in North Carolina - my parents, my brother and his family, and my brother's in-laws - raised $2,000 by participating in the ALSA 3k walk in Charlotte. The entire event raised almost $250,000. 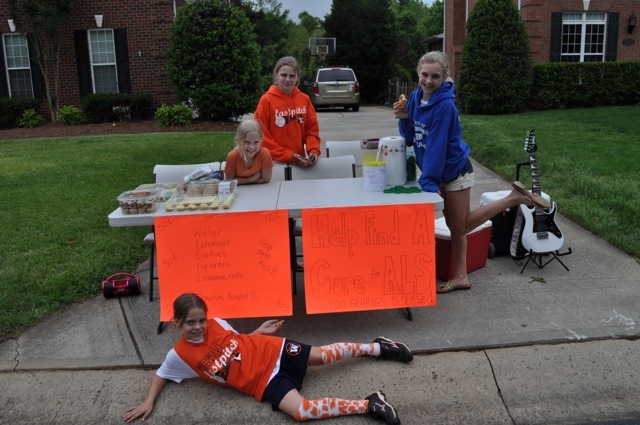 My parents' neighbors -the Cincera family - were unable to attend the walk due to earlier commitments, but their wonderful daughters more than made up for it by raising $100 through selling goods at their lemonade stand! I'm so proud of everyone. It brings back many, many wonderful memories when I read the story of my trip to Scotland in the Daily Record.